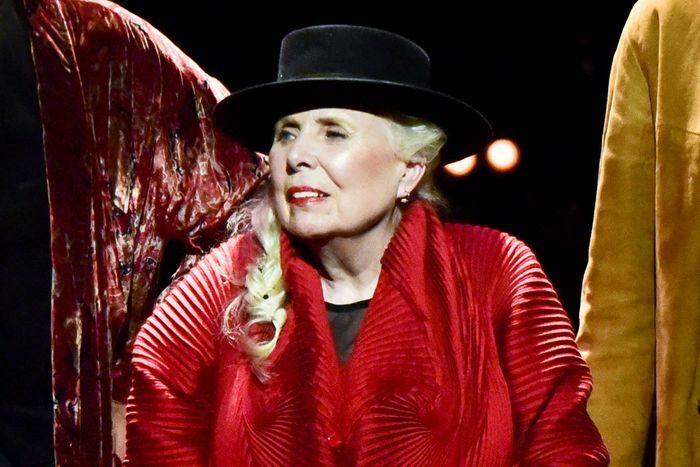 How is Joni Mitchell doing, you ask? According to this lewk, pretty rad, actually. 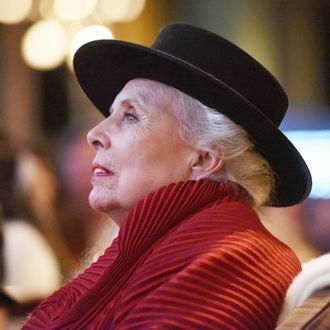 The living legend’s health has long been a subject of concern and speculation ever since she suffered a brain aneurysm in 2015 and largely retreated from the public eye, leaving widespread confusion about her quality of life: She was said to have briefly lost her speech and could not walk, but now appears to have recovered from that health scare. On Wednesday, Mitchell celebrated her 75th birthday with a tribute concert at the Los Angeles Music Center featuring performances from Chaka Khan, Kris Kristofferson, Rufus Wainwright, Emmylou Harris, and more.